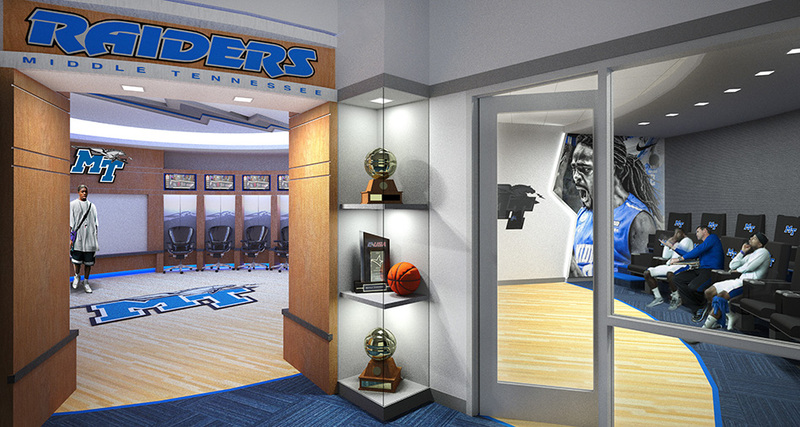 In May of 2015, Middle Tennessee State University initiated the process to develop an Athletic Facilities Master Plan in conjunction with the Campus Master Plan. The charge for the Athletic Master Plan was to provide a proactive long-term plan to locate the athletic facilities within the campus with a primary focus on a new football operations facility and subsequent backfill of the Murphy Center. Heery International was selected as the athletic planning consultant to lead this effort. 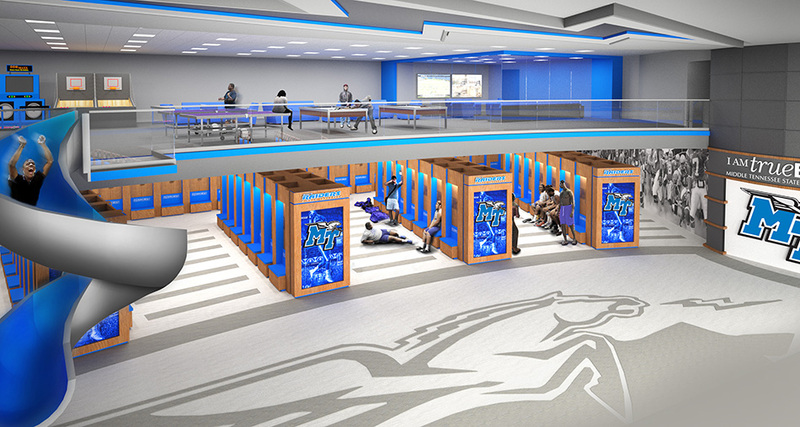 A Steering Committee that was comprised of individuals from the Tennessee Board of Regents, MTSU Administration, and MTSU Athletics provided the vision and guidance throughout the process. The master plan includes a new football team facility located in the north end zone, renovations to the Murphy Center, a new indoor practice facility, and new Athletic Plaza that enhances the student-athlete and fan experience by creating a True Blue athletic district.